Practicing Attorney since 1970. 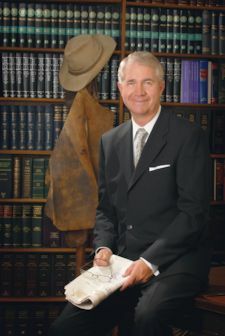 Presently practicing in the areas of Estate Planning, Probate, Natural Resources, Government Law, Business, and Water Law. Admitted to practice law before Courts in Utah and Colorado, Utah and Colorado Federal District Courts, U.S. Court of Appeals for the Tenth Circuit, U.S. Tax Court and Supreme Court of the United States.